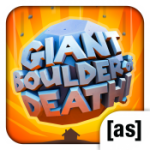 Developer Pik Pok is at it again with another quirky game for the Adult Swim line, and this time in Giant Boulder of Death (Free), you play as a giant rock hell-bent on avenging his dead wife. Yep, it sounds like an Adult Swim Game alright. Despite the fact that it plays like an endless runner, Giant Boulder of Death has a touch of Katamari Damacy to it, which is especially evident in the art style. As you roll down the mountain facing increasingly difficult areas and units, you’ll have the opportunity to tackle challenges, such as “roll up [x] amount of trees," and so on. 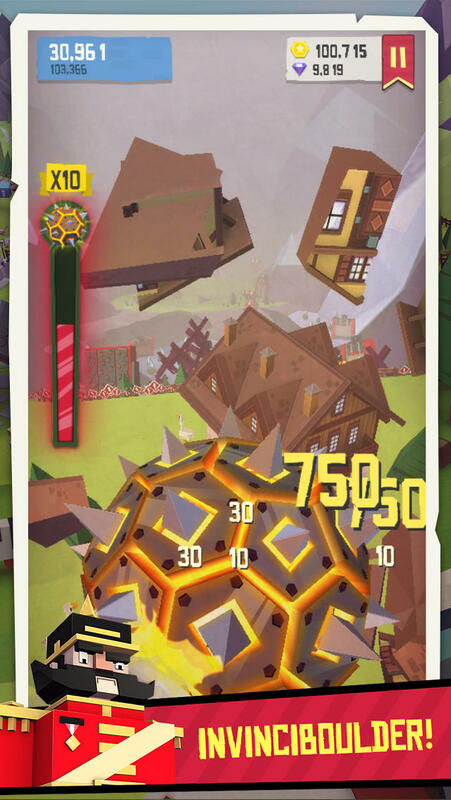 If you happen to hit a large multiplier along the way, you’ll trigger an “Invinciboulder" power-up that lets you smash everything in sight as an invunerable, unstoppable force for a limited time. And really, that’s it. 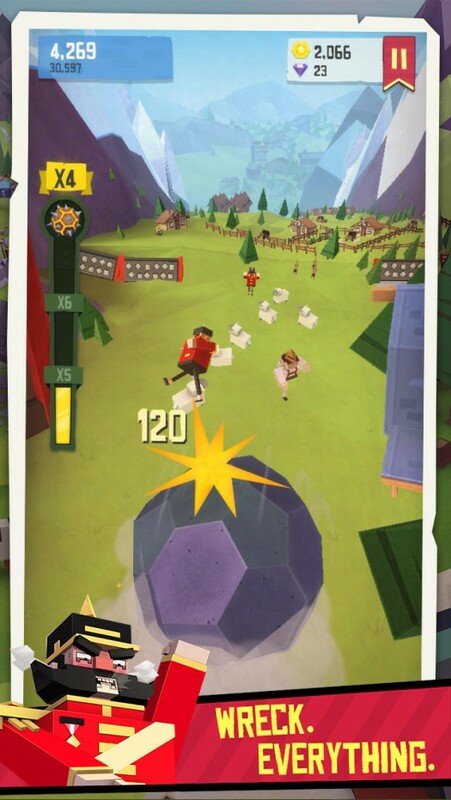 There are a few upgrades you can get to increase your jump height and other similar stats, and there are boosts to equip for each run, but the crux of the game involves rolling down the mountain over and over until you uninstall the game. It might be a bit simplistic, but it’s fun notheless. Most of the structures and characters are pronounced enough to the point where you won’t have to hunt for them, and I found the pastel art style to be pretty endearing over the course of a few runs. Pik Pok’s trademark sense of humor is also injected throughout, which will keep you going for a few more runs than you otherwise would have. Outside of potentially reaching the point of boredom that comes standard with nearly all endless runners, the major problem with Giant Boulder of Death is the IAP system. To be blunt, it’s extremely pricey, and everything is overpriced. If you want anything, basically, be prepared to go on at least 10 if not more runs to buy even the most basic of upgrades. Should you die during a run and want to continue, be prepared to shell out some real cash for diamonds to do so. Even though I was frequently aggravated by the inability to purchase practically anything from the over-priced IAP economy, I still had a blast just rolling my boulder time and time again down the omninous, yet colorful mountaintop.